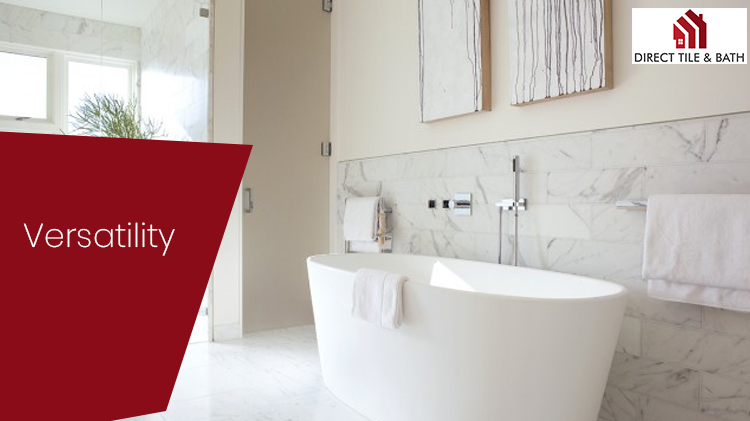 Are you looking for the best tiles to be laid in the bathroom? 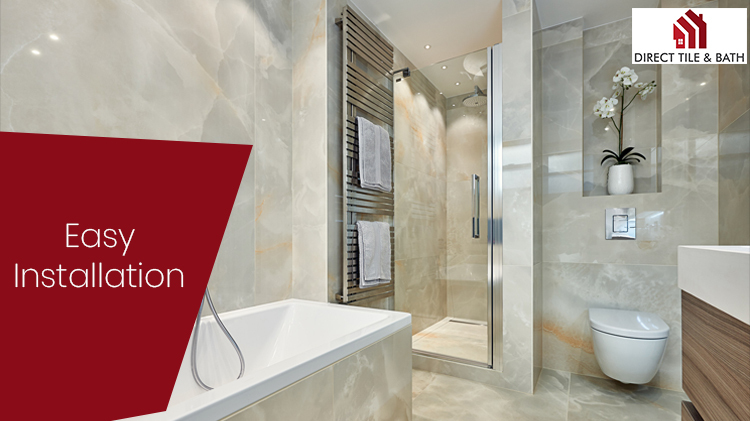 Are you worried about the other features of the tiles that would be vital to give your bathroom a sheen and sophisticated look? 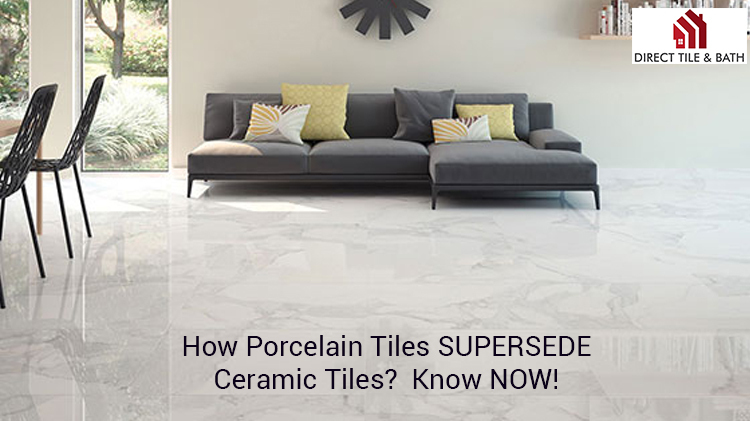 Well, for such worried owners, the companies have been manufacturing the different genre of tiles that provide the ultimate superiority to the ambience of the bathroom. 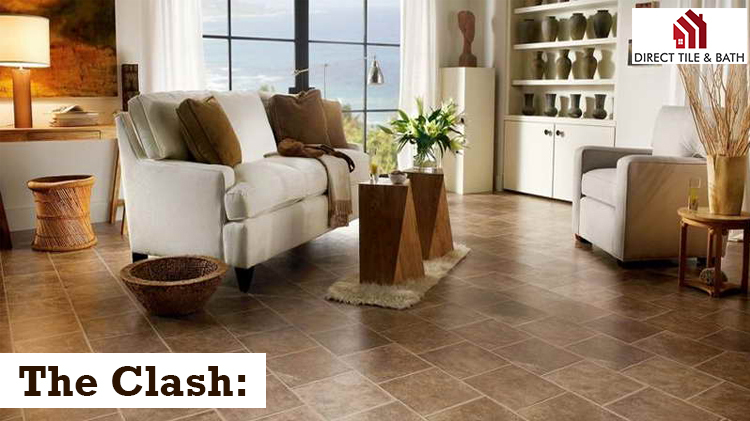 Choosing the right kind of tiles plays a vital role. It is because every add-on to the bathroom has to match with the tiles. 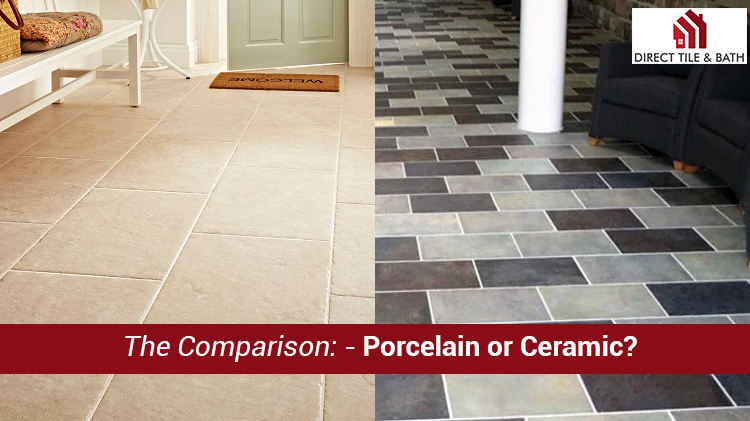 The experts from Direct Tile and Bath are of the opinion that if you want to give your bathroom a touch of aesthetic beauty, durability and quality then opting the porcelain tiles is always going to be the best choice. 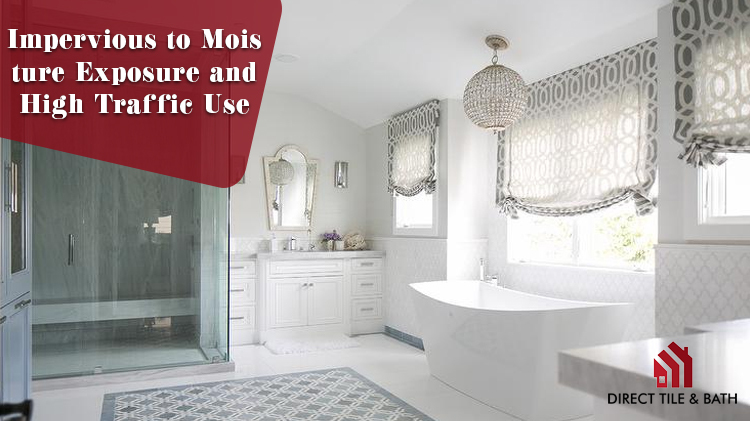 Several attributes are responsible for having the porcelain tiles installed in the bathroom. 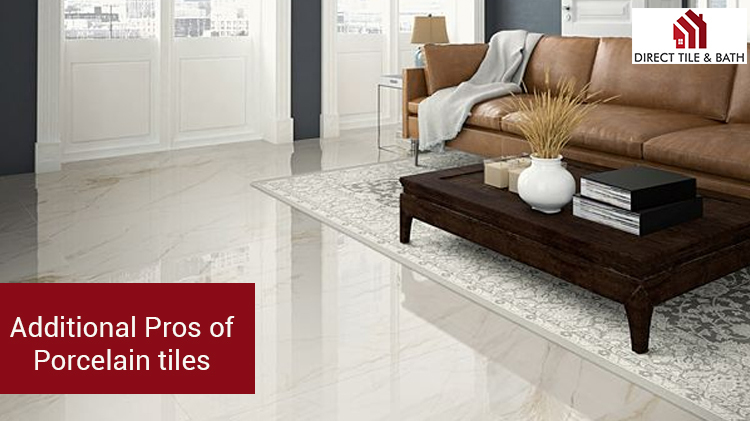 These tiles are prone to scratches and hold an everlasting lustre and finish. What people look out for before buying tiles and the bathroom accessories is the convenience to have them installed. The easy installation helps not only in saving time but also the efforts involved. The thinness of the tiles ascertains easy cutting and helping to give the required shape and size; thus, making installation hassle-free. Another major factor that tops the priority list is the maintenance. A significant advantage of these tiles is that the surface of the tiles is abrasion and stain resistant, hence can be used for years. Apart from this, the porcelain tiles in Perth have the least water absorption capacity. This ensures that no water is retained on the surface. These are far easy to clean and maintain than their counterparts. The non-allowance of the water to stand on the surface ensures that there are no water stain marks, the formation of the moulds, and bacteria. As a result, the surface remains dry. Thus, from the hygiene point of view as well, these are the best for the bathrooms. The best thing about using the larger size of the tiles is that you can give your bathroom a seamless look. 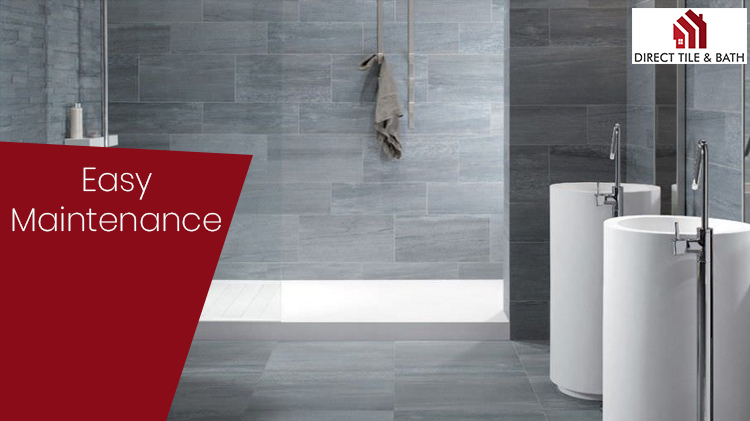 Irrespective of the size of the bathroom you have, the tiles prove to be the perfect installation. The glossy finish and the different variants of the tiles ensure the availability of enough light to the place where it is laid. The thin tiles eat up less space making it the perfect choice for many places. If you are planning to have it as the splashback of your bathroom sink, you can use it. Also, the accessories fit precisely the way one wants to be like. If you're going to install one of the gorgeous looking freestanding baths in your bathroom space, the addition will provide a perfect decor to the ambience. It holds potential to fit in all shoes because of the availability of so many options on the ground of print and colour. Undoubtedly, the presence of this tile type provides a splendour and shine to the place. The beauty of the product can be made out from the fact that its appearance gives a refreshing look when you go for either fresh installation or remodelling.